XSEED Games is bringing two adventures to PC gamers this summer. According to the press release, both titles will also include a 10% discount until one week after their respective launches. 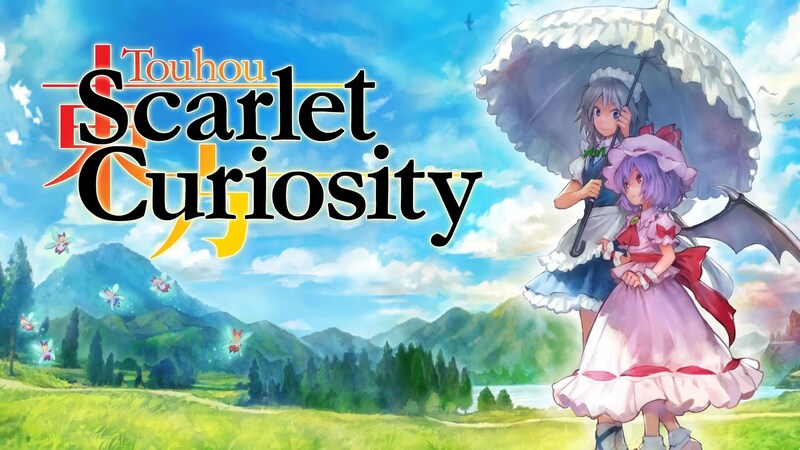 Touhou: Scarlet Curiosity is coming to Steam on July 11th. It was developed by Ankake Spa and will be priced at $14.99, €14.99, and £12.99. This version supports resolutions up to 4K. The Steam release also features the all new “Bullet Hell” difficulty mode that was created exclusively for this version. The 500 year old “Scarlet Devil” Remilia Scarlet desperately searches for something to end the monotony of immortality. She sees an article in a newspaper about a rampaging monster and sets out in search of it. Unfortunately, luck is not on her side and the search is fruitless. Returning home, she finds her manor in ruins and it seems the monster has come to her! You can find out more at the official Touhou: Scarlet Curiosity official website. Ys: Memories of Celceta will be arriving on PC via Steam, GOG, and Humble Store on July 25th. The game was developed by Nihon Falcom and will be priced at $24.99, €24.99, and £19.99. The PC release includes a PDF version of ‘Adol’s Travel Journal’, which was originally part of the PS Vita’s limited edition release of the game. The PC release also includes support for numerous HD resolutions and improved visuals, as well as fixed and unlocked framerates, customizable controls, mouse support, new leaderboards and more. Adol Christin awakens to find himself in a bustling frontier town known as Casnan. He knows nothing of his name or purpose. Soon a local information dealer claims to know him and joins him on a sudden mission to clear out the monsters from a local mine. In the process, Adol’s swordsman instincts are reawakened. His new adventures and skills soon catch the eye of a Romun Army general stationed in the town of Casnan. Soon after, the pair embark on a bigger adventure as Adol continues to look for clues about his past. You can find out more at the Ys: Memories of Celceta official website.